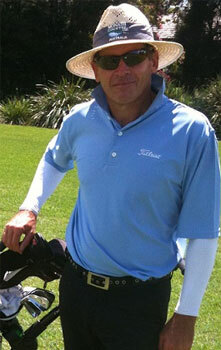 My goal was to create a shirt I could wear to play golf that fully protected my neck, arms and torso. 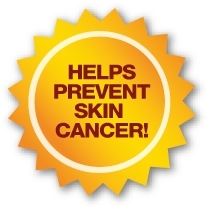 I wanted protection not only out of concern for skin cancer, but vanity reasons as well. I didn’t want to see any more sun damage, uneven skin tones, sun spots, wrinkles, or freckles. When I searched online for a shirt with all of these qualities I couldn’t find one. Many times I observed people on the golf course wearing short sleeve golf shirts with the collar flipped up along with solar sleeves...I thought why not make one shirt that combined all three of these features into one shirt? I began designing this shirt in September of 2014. 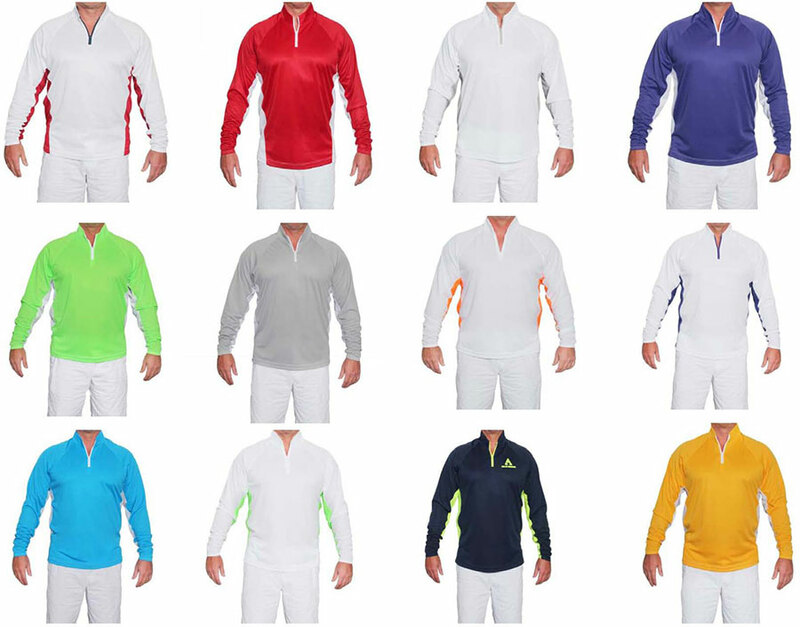 It took almost two years to finally get it right and finally the Fairway Chic UV Polo was born. 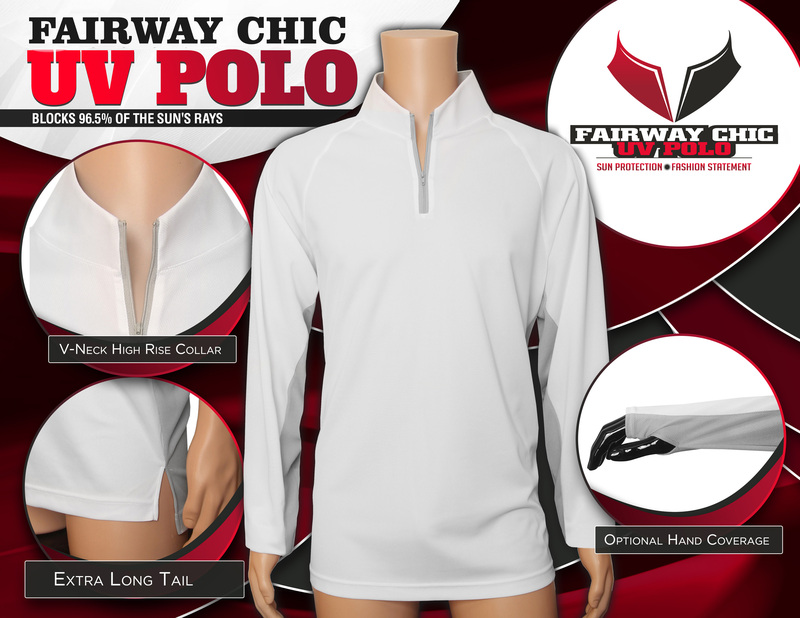 The Fairway Chic UV Polo is a moisture wicking, sun blocking, polo shirt made from Dri-Fit fabric. 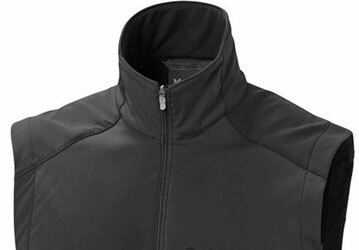 Dri-FIT is a microfiber polyester blend that feels a lot like cotton. It moves sweat away from the body and onto to the surface of the fabric, where it evaporates ,thereby keeping the wearer dry, cool and comfortable. Dri-Fit fabric is used in the majority of sport shirts sold today. 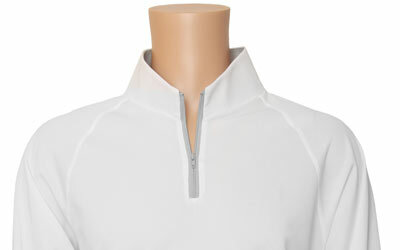 The Fairway Chic UV Polo has a UPF 50+ rating which means it blocks over 98% of the sun's rays. A big problem with the shirts available for sale today is specifically in the area of neck protection. I wanted a shirt with a collar I could flip up and would stay up to protect my neck. 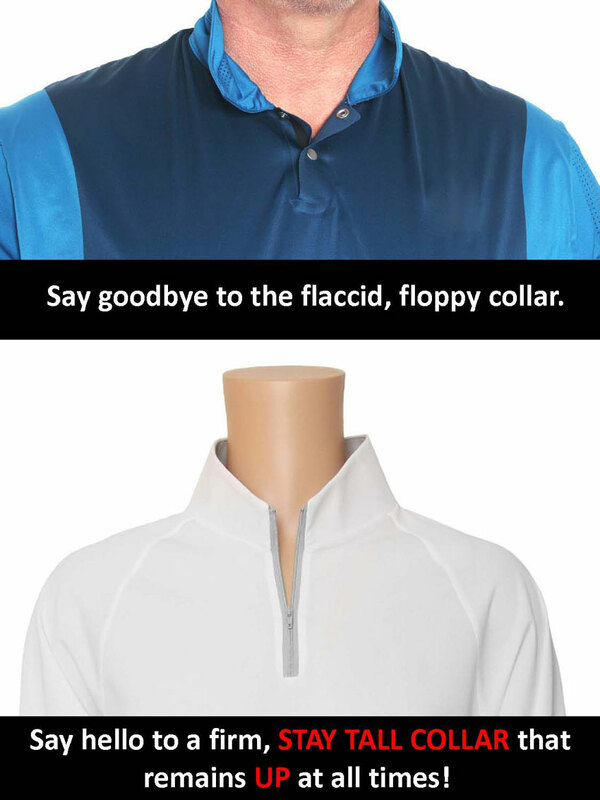 However, due to the flimsy nature of the fabric used in today’s golf shirts, collars will no longer uniformly stay up and remain in that position. 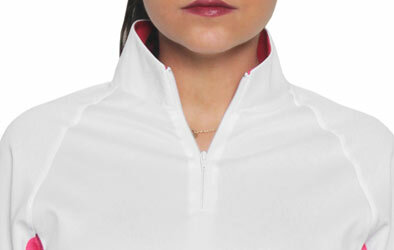 The collars on golf shirts 10-15 years ago stayed up nicely because the shirts were made out of 100% cotton. However, this is no longer the case with today's shirts. Tall collars can be found on 1,000s of shirts, vests and pullovers designed to be worn in cool and windy weather but NOT on shirts designed to be worn in warm weather...until NOW! 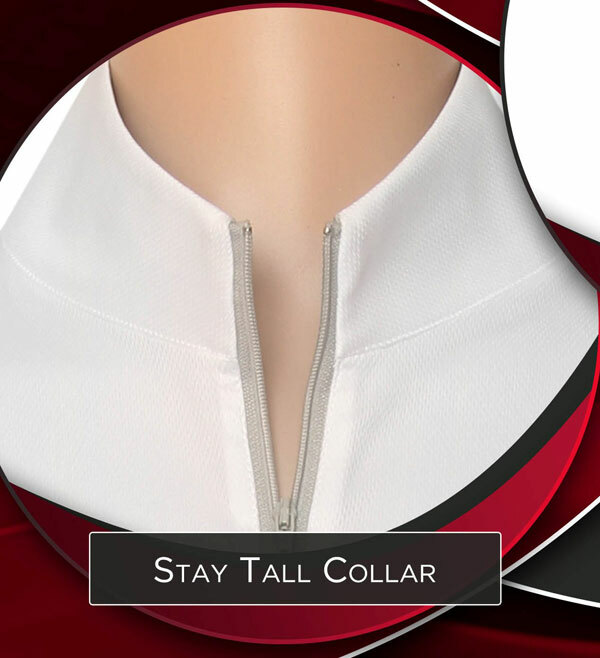 Finally there is a shirt with a tall collar specifically designed to be worn in warm weather! Our unique V-Shaped Halo Collar is what makes the Fairway Chic UV Polo truly one of a kind. The absolute BEST FEATURE of this shirt is the collar’s unique ability to be worn both high around the neck or folded down and worn like a traditional collar as illustrated in the animation video below. 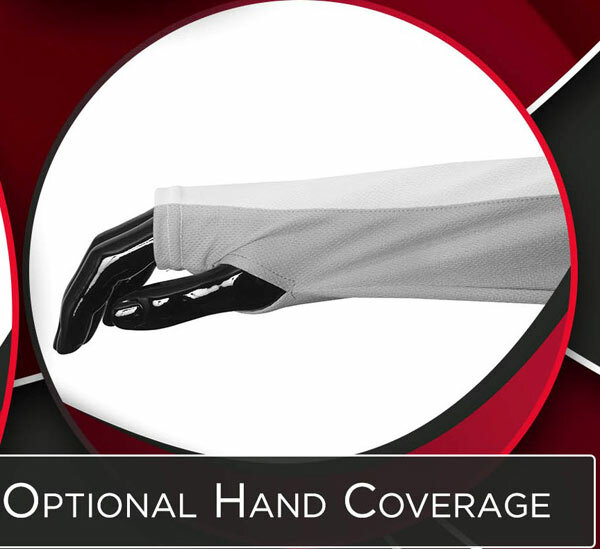 Other key features of the shirt include the small slits cut into end of the sleeves to allow the thumb to pass through to provide optional coverage for the top of the hand. This shirt also has an EXTRA LONG TAIL that remains tucked in even during vigorous activity. 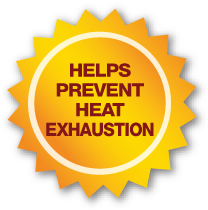 Some people believe UV Clothing isn’t necessary because of sunscreen. Although sunscreen is better than nothing at all, it has its limitations. 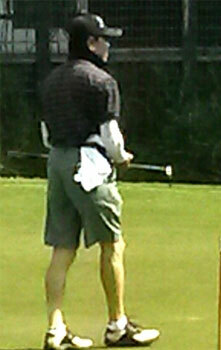 This is best illustrated when looking at photos of athletes such as golfers, cyclists and tennis players. Because of their prolonged exposure to the sun, athletes such as these practically bathe themselves in sunscreen prior to competition. But at the end of the day, the only true protection they received was from the clothing they wore. The Fairway Chic UV Polo is not only a great shirt for golf but for any other outdoor activities such as tennis, walking, jogging, fishing, cycling, hiking or even mowing the lawn. It is available in both long and short sleeve, men's and women’s versions. My ultimate goal for this shirt is to be able to market it to men, women, and children who care about both style and protection without having to sacrifice one over the other. With your help, we can make this happen and maybe even save a life in the process.